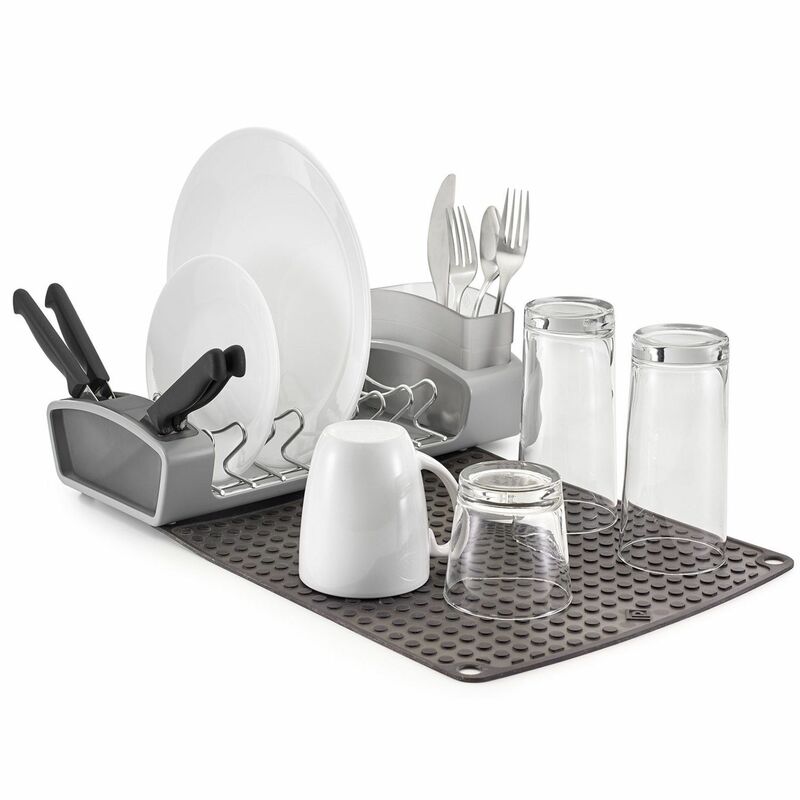 POLDER - THE VERSATILE STORAGE SOLUTION ! 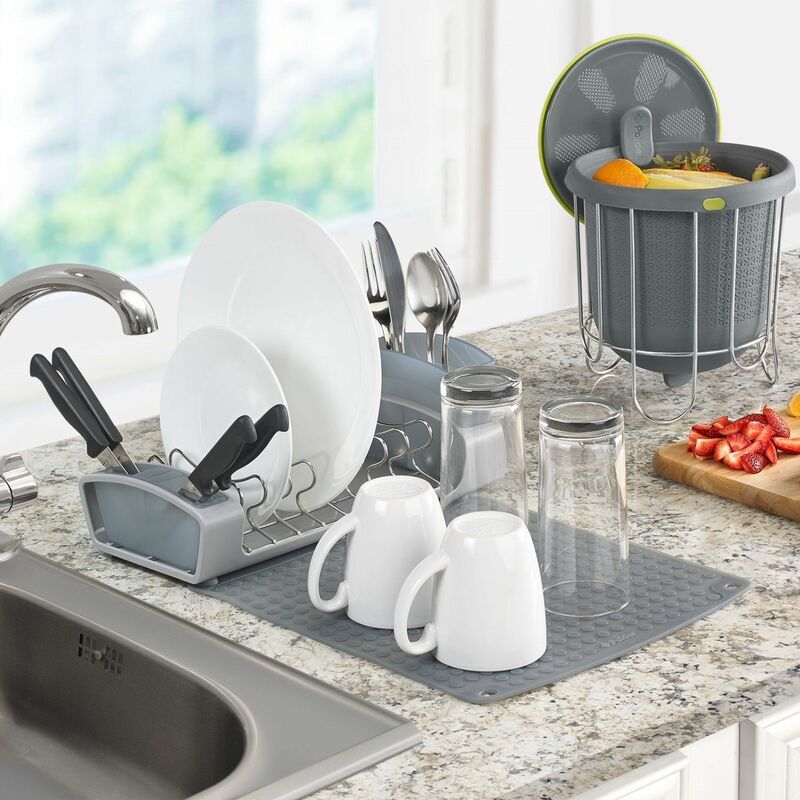 The Fold-Away Dish Rack is an innovative new design that maximizes drying space and folds up compactly for out-of-sight storage. 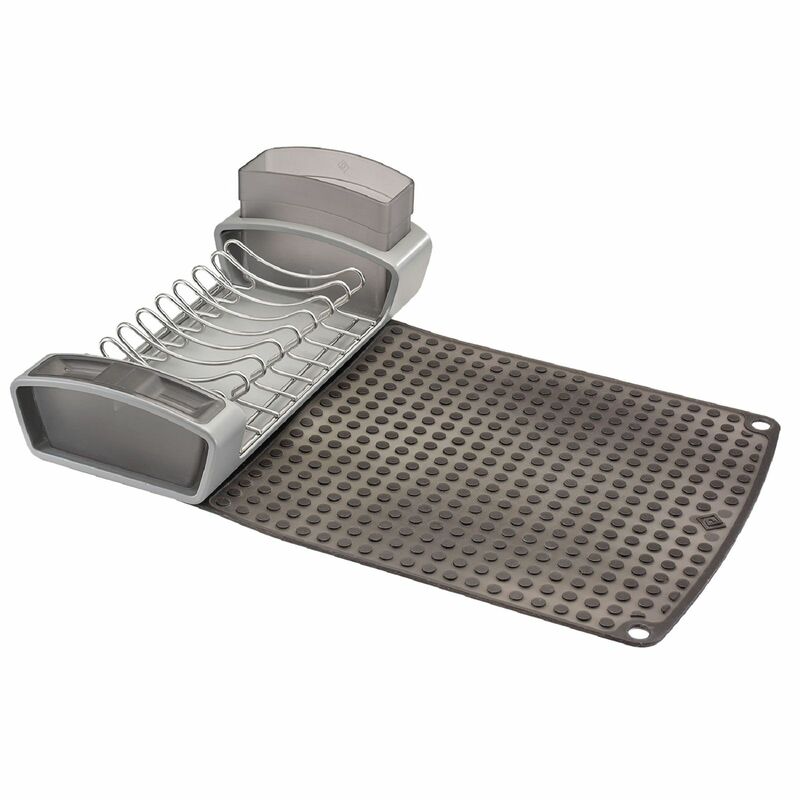 Featuring an integrated knife block (holds up to 4 knives), utensil bin, rust-resistant stainless-steel rack, and silicone mat, this space saving design provides plenty of drying space for plates, pans, utensils, glassware and more. 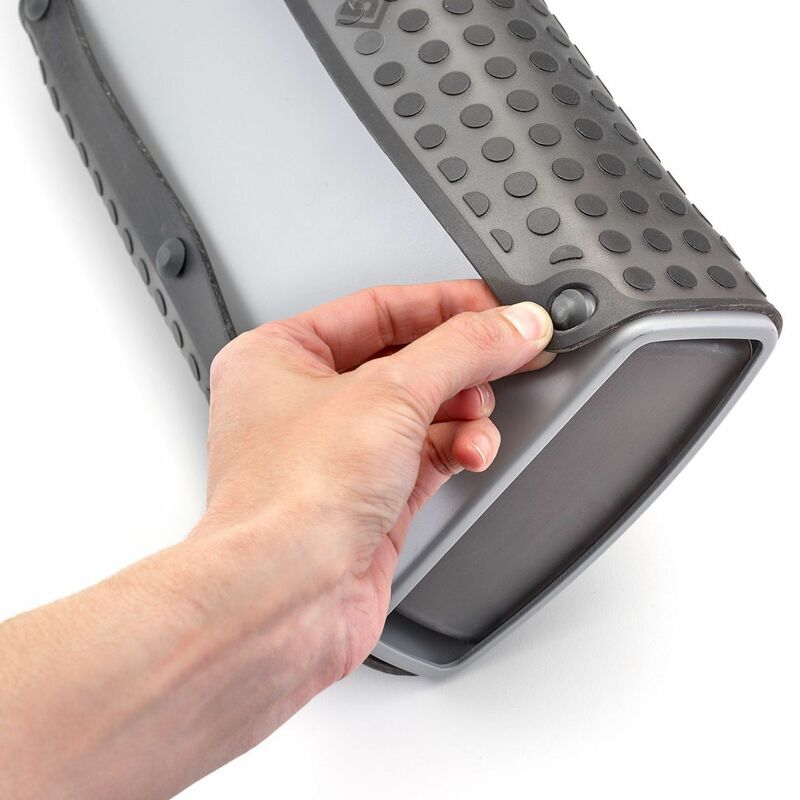 Plus, the removable utensil bin stores inside the main housing and the flexible mat folds over and locks in place. The compact and contained rack is now ready to be stored.